By 2030, China's new plastic import ban will redirect an estimated 111 million metric tons of plastic waste toward other countries, primarily in Southeast Asia, including Vietnam, Malaysia, and Thailand. Southeast Asia, and especially Vietnam, is becoming the world’s new dumping ground. Following China’s recent import ban on recyclables, the influx of shipments of international plastic waste has been outpacing the construction of recycling facilities, piling up in Vietnam’s ports and triggering a temporary ban on plastic imports this past summer. Will Vietnam hold strong in refusing to absorb the world’s horrendous plastic waste? In the first quarter of 2018 alone, Vietnam imported nearly 79 million pounds of plastic waste and it has become one of the U.S.’s largest scrap plastic buyers. Industrialized nations have been exporting their trash problem to other countries before. Until China enacted its recent import ban, it had been absorbing 45% of the world’s plastic waste. By 2030, China’s ban will redirect an estimated 111 million metric tons of plastic waste to other countries, primarily in Southeast Asia, including Vietnam, Malaysia, and Thailand. 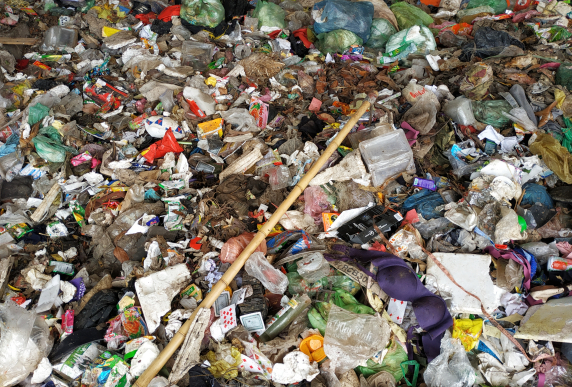 Even before the deluge of foreign trash began arriving at Vietnam’s ports, many Vietnamese cities were facing waste crises due to the country’s rapid industrialization, and concurrent rapid increase in plastic production and consumption. Ha Long City in North Vietnam is one municipality facing such a crisis—waste was piling up in the streets of the city of 227,000 residents last November after the city’s two landfills filled up much faster than expected. The situation in Ha Long is similar to other cities throughout the country. Landfills are filling much faster than expected, leaving city governments on their heels trying to come up with a “Plan B” in short order, often turning to incinerators that release deadly toxins into the air. But these “fixes” are not real solutions because they don’t stop the production of plastic waste in the first place. All over the world, people are waking up to the fact that our plastic consumption is unsustainable. Environmental advocates and researchers are developing more sustainable solutions. And the global Break Free From Plastic movement, over 1,000 organizations strong, is championing zero waste—that is, reducing the amount of plastic waste going to landfills to zero through the use of 5R solutions (refusing plastic, reducing its use, reusing, recycling, and rotting, i.e., composting). The zero waste approach is economical, practical, and environmentally-friendly, and it targets the very roots of the problem—the usage, consumption, and production of single-use plastic itself. Pacific Environment is a part of the #BreakFreeFromPlastic coalition, and the movement’s member organizations are conducting waste and brand audits throughout the world to design tailored zero waste solutions for individual cities and communities. 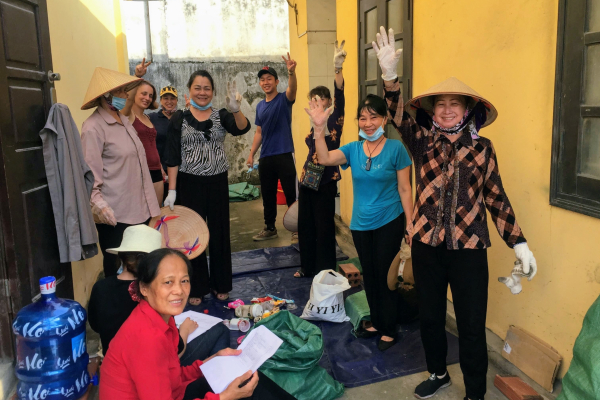 This past June, we joined forces with Greenhub and other local Vietnamese partners to conduct a seven-day household waste audit among 60 households in Ha Long, followed in September with another week of audits focused on tourism businesses: hotels, restaurants, and tour boats. The household audit findings indicated that nearly 2/3 of household waste is organic waste from kitchens and gardens, which can be composted rather than sent to a landfill. With an additional 25% of the household waste recyclable, only the remaining 12% truly needs to be landfilled. 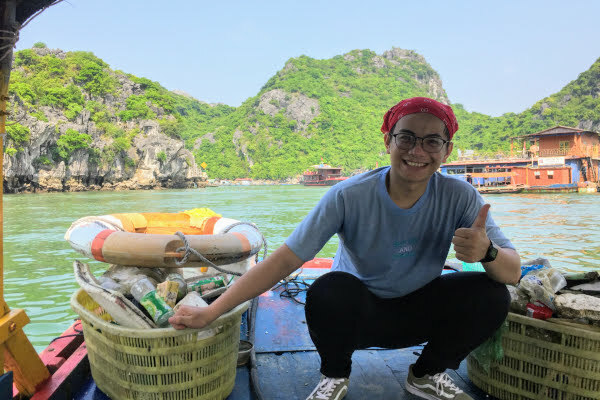 Additional analysis of this waste suggested many ways to reduce Ha Long’s landfilling rate even further below 12%, such as product-specific bans or targeted corporate campaigns to spur packaging redesign efforts. The tourism-focused audits similarly pointed toward industry-specific opportunities to reduce plastic use through 5R approaches. They also revealed that the average tourist produces twice as much waste a day as the average resident, thereby contributing to the severity of the waste problem, particularly in small island and coastal communities with few residents but many tourist visitors. Stay tuned to hear more about our efforts to help local activists implement grassroots solutions in Vietnam!